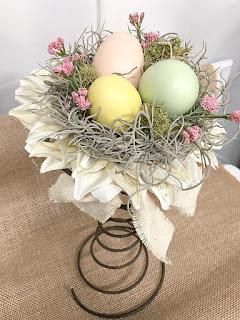 An easy DIY decoration for Spring. 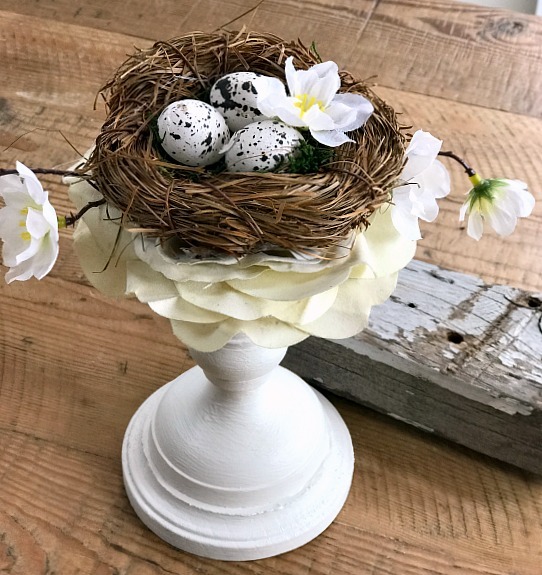 This project begins with a few inexpensive items from the thrift store. 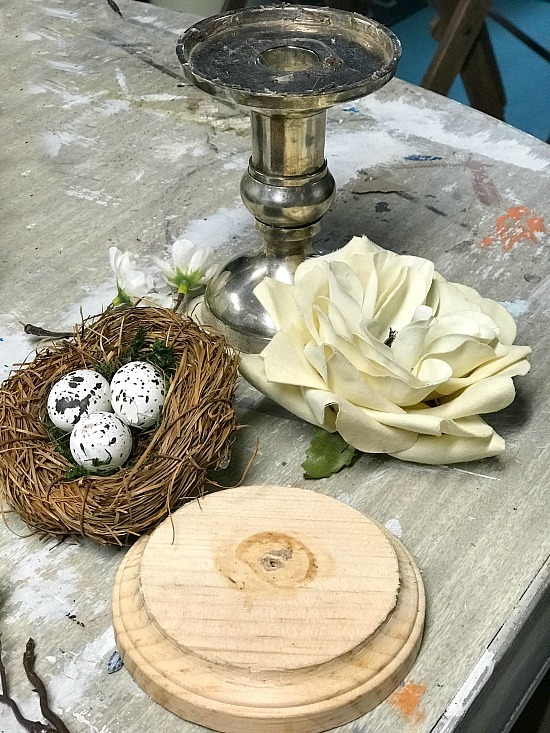 The candlestick and the less than gorgeous flower came from the thrift store. 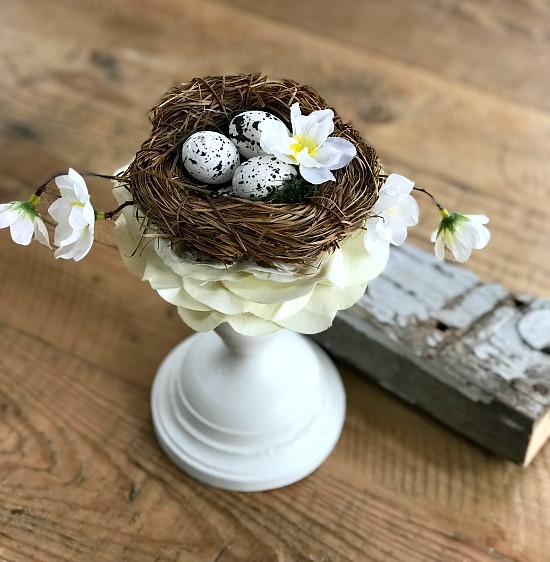 The wooden base and the bird's nest can come from the craft store. 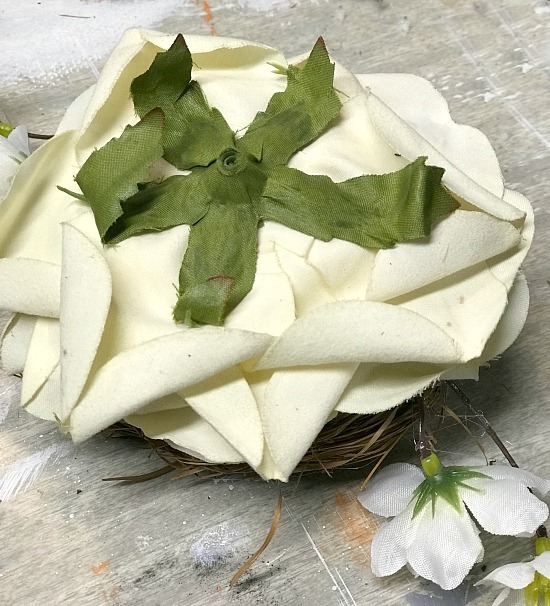 You can find supplies for this project by visiting my green Amazon links or at the bottom of this post. When you click on the affiliate links you will be taken to the products I use for this project. There is no additional cost to you and Homeroad receives a few cents to help me bring these projects to you! The first thing I did was to glue the candlestick to the wooden base with hot glue. Then I coated the metal candlestick with Ultra Grip so the paint would stick to the metal. 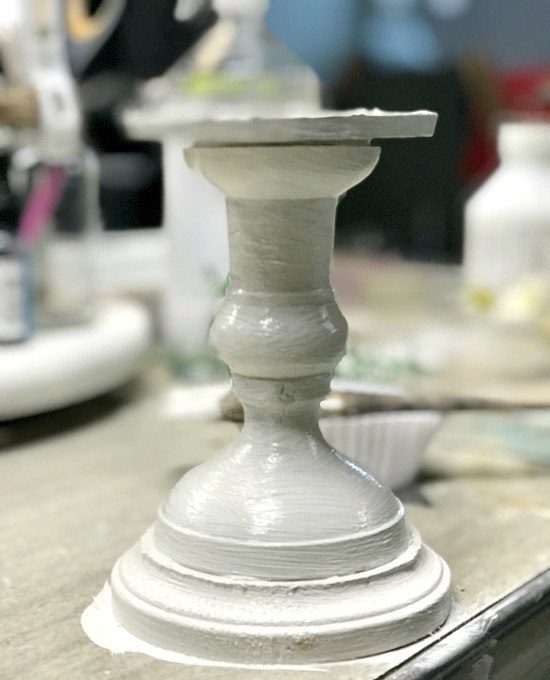 When the Ultra Grip dried I painted the candlestick and base with 2 coats of Fusion Mineral Paint in Raw Silk. You can also visit Fusion Mineral Paint to find a dealer near you. 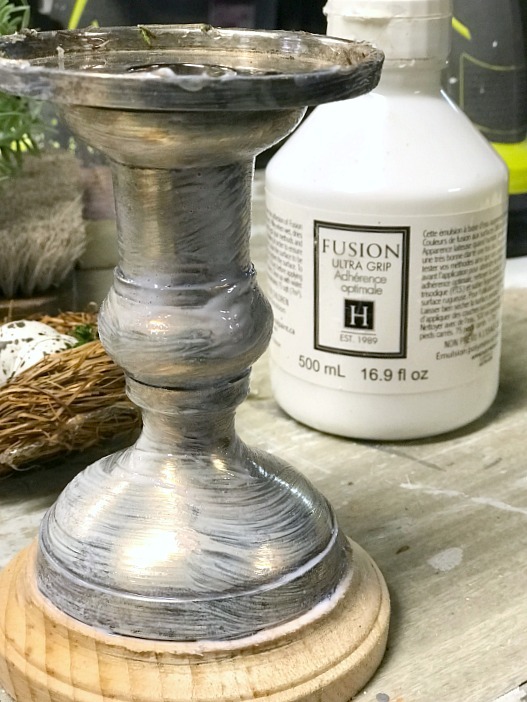 I like using Fusion Mineral Paint on projects and painted furniture because it goes on smooth, is self-sealing, and looks beautiful on everything. 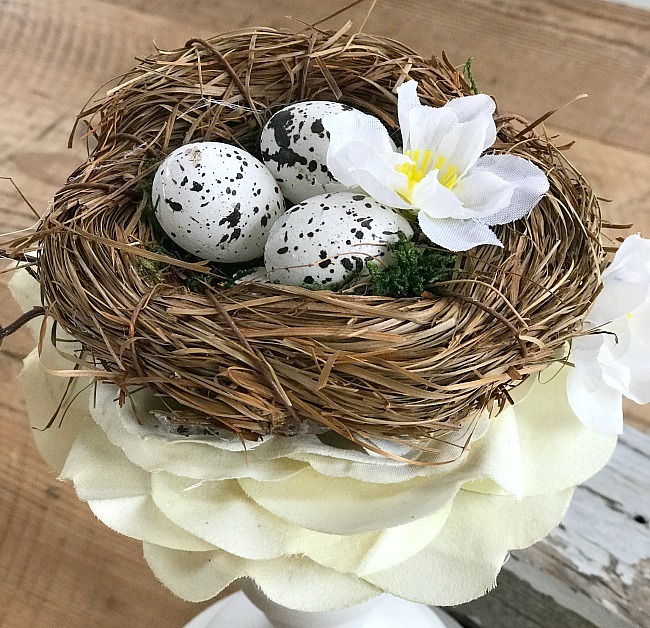 The next step is to open up the old flower and hot glue the nest inside. 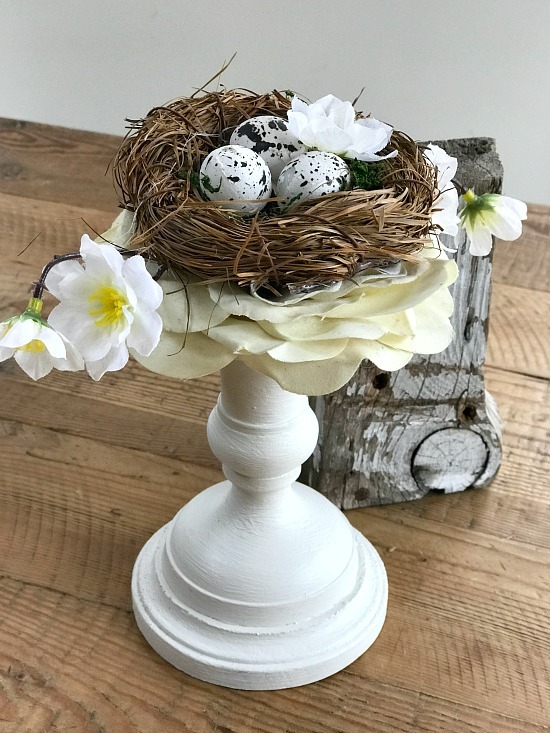 I used the tip of an iron to smooth out the petals and leaves then hot glued the flower and nest into the top of the candlestick. 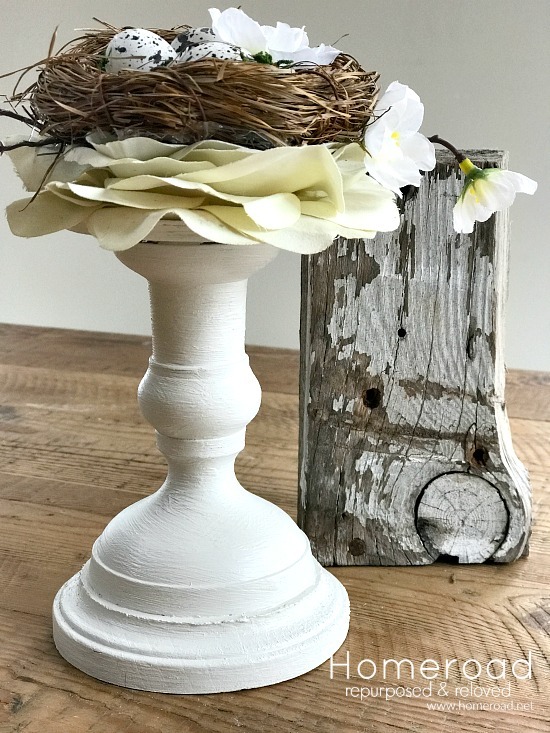 Old flowers are easy to find in the thrift stores and the condition of them doesn't really matter because only the outer petals will show. 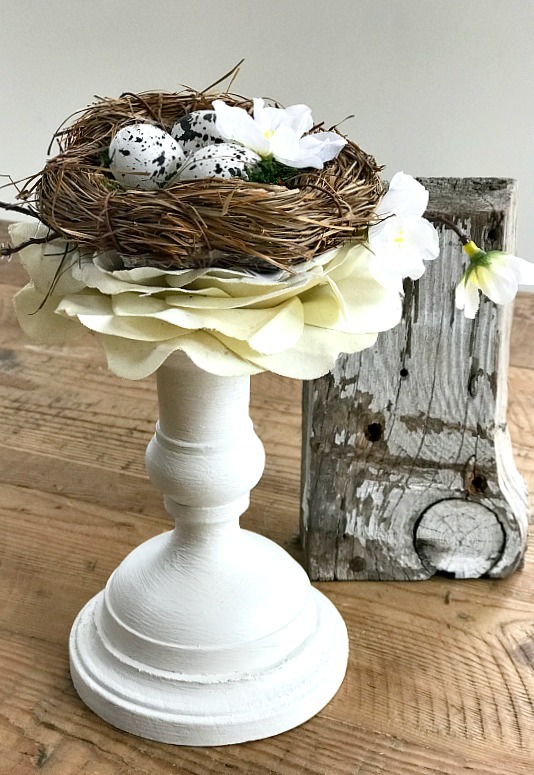 Candlesticks come in all shapes and sizes so you can create many different versions in many different sizes and heights. 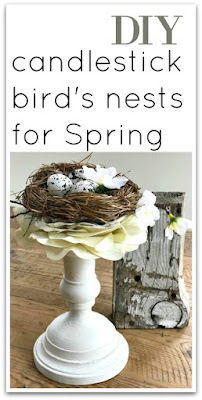 nests made on rusty springs.